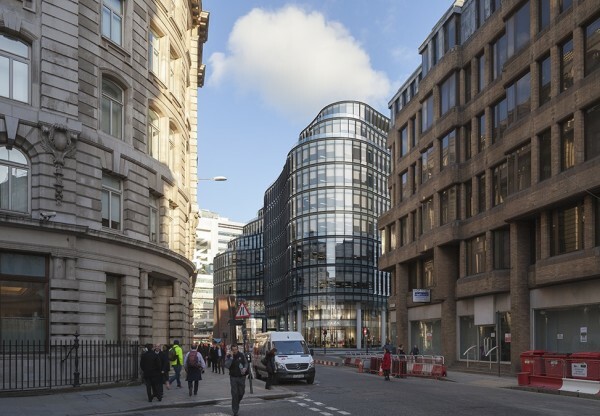 Planning permission has recently been granted for Hopkins Architects' refurbishment and extension of 100 Liverpool Street for British Land in Broadgate, London. 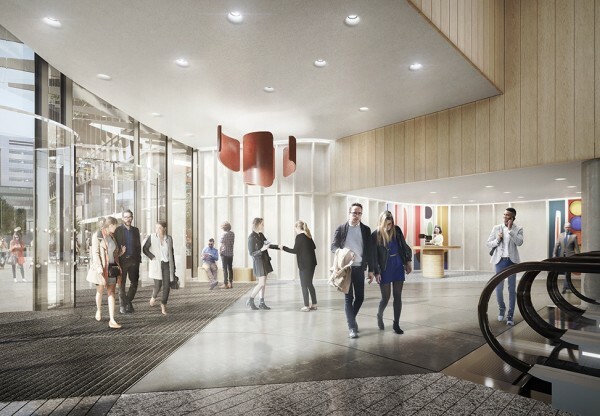 The project will reinvigorate the existing outdated building, stripping it back to its structural frame and providing it with a dynamic new identity thanks to a new curving façade and revamped public realm. At the building's heart will be a dramatic elliptical atrium surrounded by flexible office accommodation on bright, efficient floor plates. 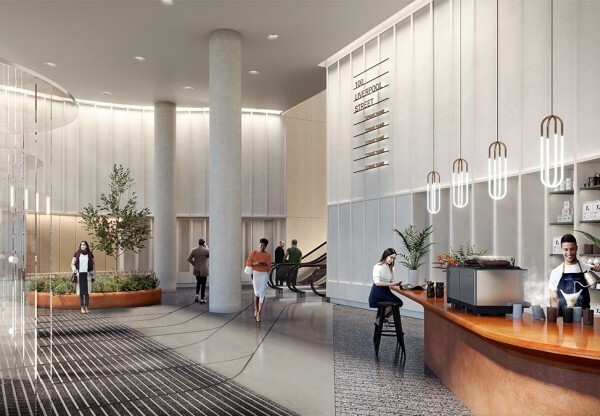 Three new floors have been created at the top of the building, set back to allow for planted terraces and outdoor amenity space. The ninth floor has the option to include a new restaurant with a large accompanying terrace featuring dramatic views out over the City. 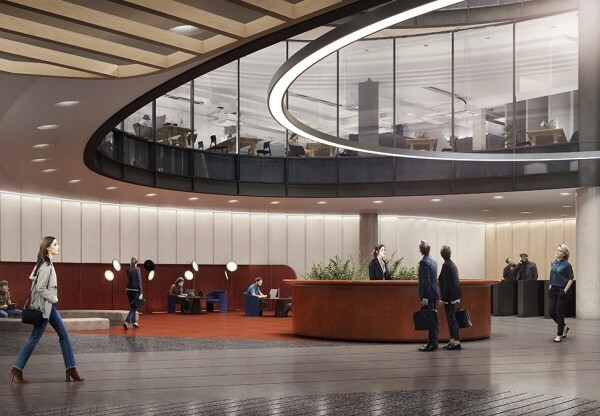 Three new efficient cores serve the office levels; they have been designed for maximum flexibility and are able to accommodate single occupier or multiple tenancies. 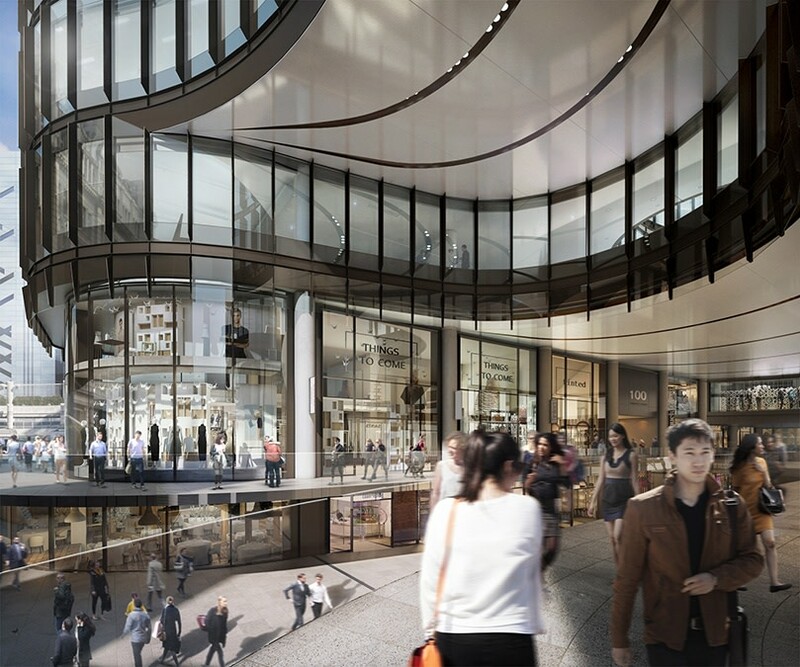 The scheme also includes a number of high quality retail units on the lower ground, ground and first floors that will accommodate a variety of tenants. 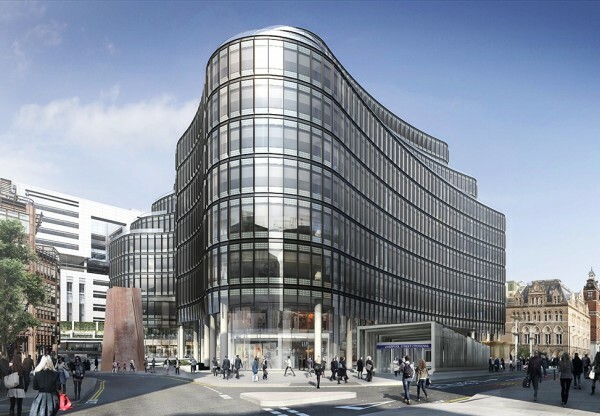 The building will feature an array of sustainable features that complement the significantly reduced carbon footprint associated with the reuse of the structural frame; it is expected to receive a BREEAM Excellent rating. 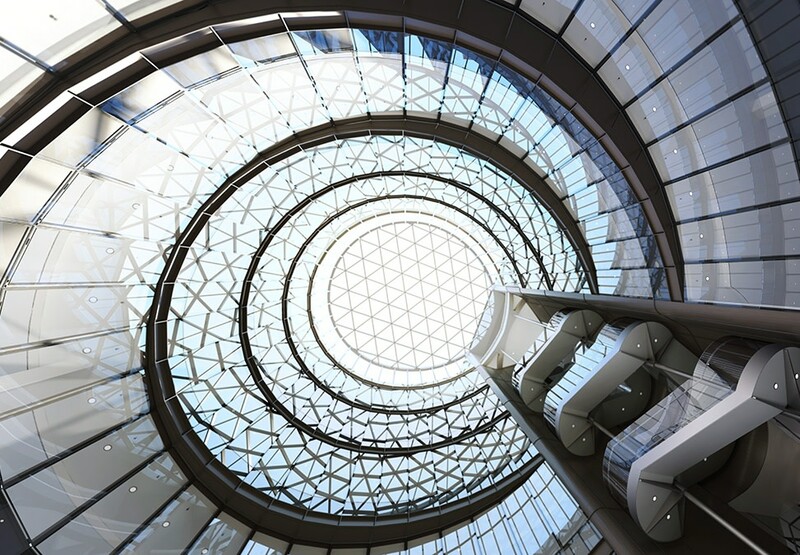 It will include high-efficiency building systems, the re-engineering of the existing structural frame, photovoltaic panels and outdoor planted areas on the upper terraces. Additionally, a significant cycle storage facility will be included along with a shower and changing facility. 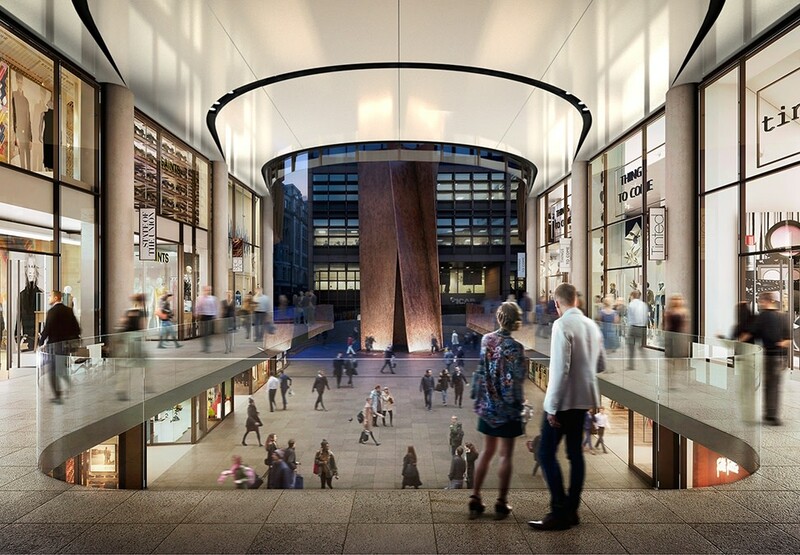 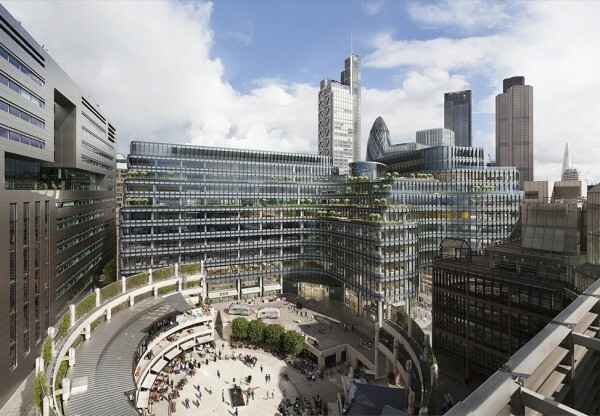 Due to be complete in 2020, 100 Liverpool Street is located at one of the most well-connected locations in the capital, directly adjacent to Liverpool Street Station. The new Crossrail Station, expected to open at the end of 2019, sits directly to the south and refurbishments to the existing bus station facilities at the eastern part of the site are also planned.